On our instagram last week, we released a sneak peek of our 2018 show styling - and it's fair to say it features a lot of florals. Flowers in weddings are hardly a new concept, but that actually makes them harder to do well! Well, luckily for you, we have the incredible Foxglove Studio as premium exhibitors this year, and they do them EXCEPTIONALLY well, with a stunning romantic, sylvan aesthetic for the most romantic of souls. 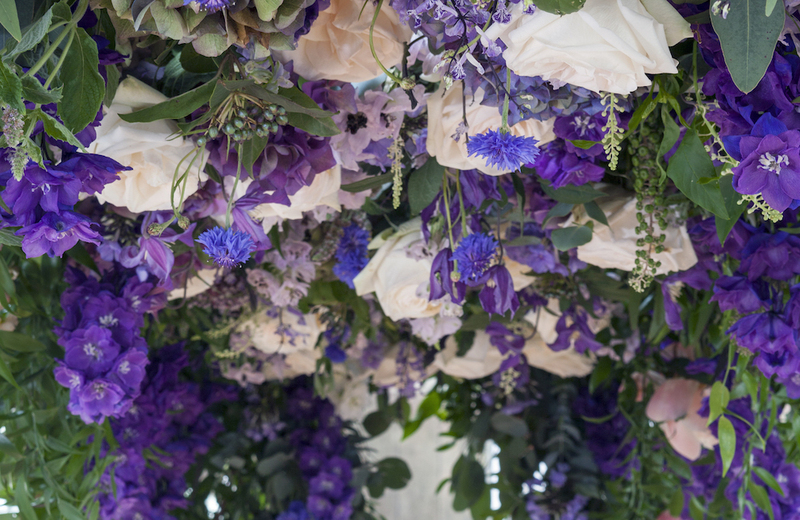 Enhancing their wild and natural style, they love to incorporate British, locally sourced blooms wherever possible and ticking another big box for us! Just LOOK at that beauty of a tabletop arrangement, and how wonderfully they've brought the outside in. SWOON! It’s so hard to choose just one! There have been so many moments but being involved in our first couple’s big day would have to be one. We have been so lucky to work with so many incredible couples who make our work so rewarding. There are soooooo many!! We loved Kate Moss and Jamie Hince’s relaxed boho vibe. The choice of cute flower crowns for the bridesmaids fitted perfectly. In a completely different vein, one of our all-time favourites has to be the wedding of Grace Kelly. The epitome of a fairy-tale princess. Having both worked within the floral industry for a number of years, we felt the time was right to set up on our own. Craving the freedom to create a business that truly feels like a reflection of ourselves, our style and our way of thinking. Describe the type of couple you are hoping to meet at Most Curious. We love to meet couples who have a little sense of adventure from our initial informal chat we like to put together a tailed made proposal where we can let our creativity and imagine run wild. It is something truly special when amazing couples put their faith in us to create something as unique as they are. We like to offer something a little bit different to our couples. As we feel every bride and groom are individual and believe the flowers should reflect that. We like to keep it relaxed and laid back and we are always on hand to chat about different ideas, as we know plans evolve as the big day approaches. We love what we do! We spend our days meeting lovely people and planning beautiful designs for some super inspiring couples. Seeing our plans come to life and our bride’s reactions makes our job so worthwhile! We have the pleasure of being involved in the happiest day of lot of people’s lives, which is something truly special. Eeeeep! We're so excited to have Foxglove Studio at the fair in March, and we can't wait for all you romantic souls to meet them - grab your tickets now to make sure you do!